The changes in temperatures, the changes in food availability and the need to mate, among other factors, make many animals move to other areas, that is, migrate. In zoology, migration is the periodic journey, which animals do from time to time, to reach areas where they can meet their needs. Most species of penguins usually migrate, among them, the Emperor penguin (Aptenodytes forsteri) has the most incredible migration trip. 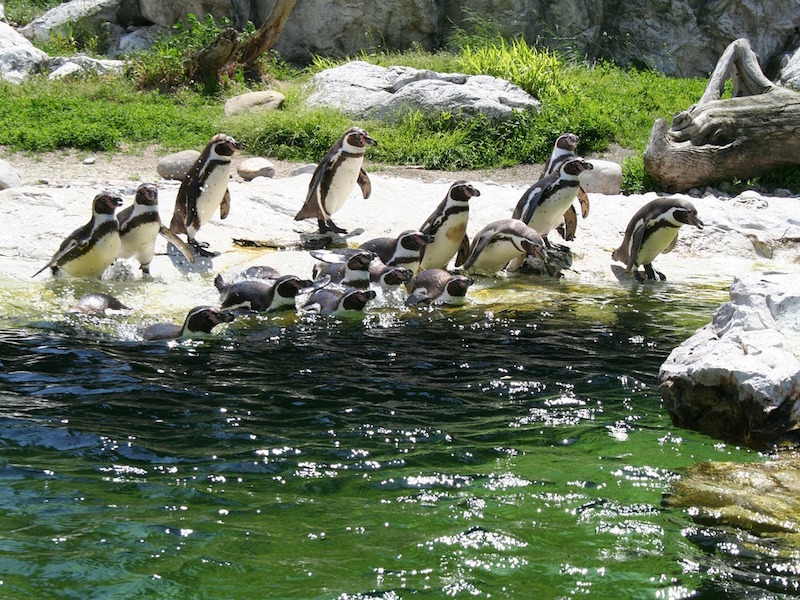 In general, in the case of penguins, the reason is mainly related to changes in temperatures. When the days become shorter in the south pole, algae and phytoplankton can not perform photosynthesis in a normal way, and the organisms that consume them, such as krill, become scarce. Since krill is the principal food for some species of penguins, they have to move to regions where the days are still long to find food in other coastal waters. Other species need to travel because the ice and snow begin to cover both water and land at excessive levels, making the Antarctic habitat a difficult place to survive during the winter, except for the emperor penguin. As the cold becomes unbearable and the food scarce, penguins have no choice but use their fins and travel north. In the case of the Aptenodytes forsteri, their migration meets the need to reach nesting areas in the south, places that they visit year after year to mate and lay their eggs. When a young penguin has acquired enough strength, it leaves its native colony and usually goes miles away, until the next breeding season when it returns to the same place where it was born to form a new family. All penguin species have migrating skills, but not all do it. As a rule of thumb, as far as they are from the equator, the more likely is that they migrate. Also, if the conditions permit, they prefer to stay where they are. For example, among the two subspecies of the gentoo penguins (Pygoscelis papua), one of them, the northern, usually remain in the colony during the whole year, while the southern, that nests in the Antarctic Peninsula, has to travel to the North during the harsh winters. Migration is practically a life-or-death event, one of the most important in the life of penguins. It is usually long, tiring and full of difficulties, and for juvenile and old penguins, it is especially dangerous. The youngest Penguins have the difficult task of surviving it; Once they do it once, it is easier to endure on the next occasions. In fact, most young penguins do not survive the trip. It is unknown for sure how penguins are guided to arrive at the same place each year, or how they orient themselves, although most believe that perhaps they can be guided by the sun or by the knowledge that they acquire after many migrations. However, some individuals lose their sense of orientation or for some reason move away from the group with whom they migrate, so they get lost. These penguins are known as vagrants. The beginning and the end of the migration take place on land, except for the emperor penguins, who travel from the marine areas to several kilometers inland. The weight of these penguins plays a significant role in their survival; Clearly, the healthier and bigger are more likely to get safely to the nesting or feeding sites. The distance to which they move varies according to the migration reason, the environmental conditions, and the species. The Adélie penguins of the Ross Sea travel about 13,000-17,600 kilometers annually to their breeding colonies, while some Magellanic penguins (Spheniscus magellanicus) can move about 4,828 kilometers. The migration can be walking or swimming, but the emperor penguins only have their legs and their bellies to march on the ice and snow. Hoare, Ben. Animal Migration: Remarkable Journeys in the Wild. University of California Press, 2009. Katz Cooper, Sharon. When Penguins Cross the Ice: The Emperor Penguin Migration. Capstone, 2015. Müller-Schwarze, Dietland. The Behavior of Penguins: Adapted to Ice and Tropics. SUNY Press, 1984.